“The sad thing is that in the midst of talking of about 20 Nigerians on death roll, even as eight had been executed, just yesterday another Nigerian, Wahid Somade, was arrested at Jeddah airport with about I,138g of cocaine. ”We keep appealing to the Kingdom of Saudi Arabia to ensure for trial trial is fair,” Dabiri-Erewa said. “We pay our condolence to the family and keep begging Nigerians to obey the laws of other countries and Saudi has replied us officially, saying their law is their law. “It does not matter where you come from, you hold a green passport. Do not let a few people denigrate every one of us,” she said. Dabiri-Erewa, however, stressed on the need to celebrate the success stories of Nigerians in the diaspora. 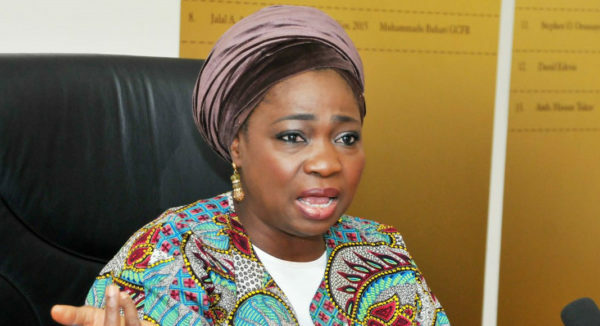 Dabiri-Erewa also called on concerted efforts on compulsory baggage identification at airports as well as more security surveillance and cameras at screening points at the airports. Meanwhile, a statement from the Royal Embassy of Saudi Arabia in Abuja clarified that all legal and judicial procedures were followed regarding the accused person. The embassy stated that death sentence is only carried out after all proofs and legal evidence have been exhausted regarding the accused. Specifically on Afolabi, the Saudi Embassy reaffirmed that all legal and judicial procedures were followed regarding the accused person and she was accorded every legal right before the death sentence was carried out on her. “The death sentence is only carried out in the Kingdom after all proofs and legal evidence have been exhausted regarding the accused, and the process goes through various legal stages until the allegations against the detained persons have been proven beyond reasonable doubt. “Saudi Ministry of Foreign Affairs was always in consultation with foreign embassies and consulates in the kingdom and facilitated visits from nationals of detainees,” the statement read in part. The embassy also reiterated that the penalty for drug trafficking is the death sentence and applied on all persons convicted without any exceptions.